"Farkle here to see Riley!" I say, as my voice is muffled through the tiny speaker inside Cory and Topanga&apos;s apartment. There is a dead silence. Is no one home? I mean Riley never invited me.. But I&apos;m like family to them so I can stop by whenever I want. I wait for what feels like twenty minutes until a bright Cory appears and opens the door with a quickness that is funny to me. He greets me like he always does; tells me how happy I make Riley, how great friends we are, and how much fun it is to see me here. Oh how I love the Matthews family. "Farkle, Riley should be in her room. You are completely welcome." He smiles and walks back to rest on the brown couch in the living room. Topanga has already fallen asleep there, and of course Cory keeps her company. I walk up the little stair case past the kitchen. I realize I am suddenly nervous. Of what? Riley? Seeing her face again, how beautiful it is? Knowing I like her, not as a friend anymore. I don&apos;t know what to say to her. But we&apos;re best friends. And we always tell each other the truth. It won&apos;t be that bad. It won&apos;t be bad at all. I step into her room, and look for her. She&apos;s not in the bay window. She&apos;s not in her bed. Where is she? Then I get a text. Riley: i heard you come through the door. i&apos;m on the roof. Riley: it&apos;s beautiful up here. come up! I put away my phone and smile. Riley. Oh Riley. Has she even been this daring to go on her roof? But again. Is Farkle Minkus that guy either? Nothing matters, I just want to see her. I climb upstairs to her terrace. The terrace where I told everyone she still loved Lucas. I felt extremely horrible for that. I then see a silver staircase that leads to the roof. I climb up, and see Riley laying down and watching the skies of New York City. "Hey back," she smiles. "Come over here." I lay down next to her, beside her, and feel like the whole world is in my hands. What do I say, what do I do? I know. "I see Pluto. It&apos;s more beautiful than ever." She smiles at me. "It reminds me of us. I love it." She laughs and closes her eyes. "You know, this sky is-"
I hear a small whimper. It&apos;s crying. And it&apos;s Riley that&apos;s crying. What happened? What could&apos;ve hurt her? She looks embarrassed. Did I scare her. Am I not supposed to be here? Did she want the rooftop to herself? Probably. "I don&apos;t know. I feel great. With you. You make me happy. Thank you." She leans on my shoulder, and suddenly I feel butterflies. "Aw. You&apos;re amazing and I love you." "Lucas cheated on me." She says casually, expecting me to reply. "What?" How could he do this?? "It&apos;s my fault. I should&apos;ve gone out with him more. He wanted me to pay more attention to him. It&apos;s stupid." She wipes her eyes and opens her eyes to look at me. "No, none of this is your fault. He shouldn&apos;t have done that and he crossed the line. Any boy would be lucky to have you Riley, you should know that. You&apos;re sweet, funny, and beautiful and if Lucas can&apos;t see that, then he&apos;s not worth a single tear. Listen to some Beyoncé. It helps. I&apos;m not ashamed I listened to all of her albums after I broke up with Smackle." She&apos;s laughing, and I feel better. She takes my hand, and lets go of my fingers, except for my pinky. "We need to promise each other something." "Promise me you&apos;ll always believe in yourself, and me. Promise me we&apos;ll always love each other and look out for one another. Promise me that. I don&apos;t want to lose you." She tears up again. "I don&apos;t want to lose you either, Riley. That would be the worst nightmare ever. I love you too much." She grabs my face and kisses me on the cheek. I feel all my senses fade as I am happy, but surprised. Did she really just do that? Riley herself? Riley quickly looks away, shyly. I stare at her. I want to know how she feels. "I love you so much. 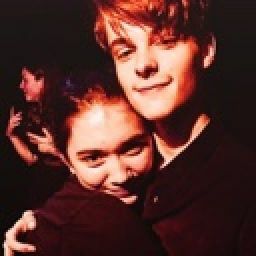 I need you Farkle. I need you." I grab her face real close and we connect eyes. We hold a strong gaze and at this moment in time, her eyes are brighter than the stars. I lean in closer and our lips touch, and we kiss slowly, but gently. This is my best dream coming to life. She kisses me back, moving her mouth towards my jaw and then my neck. She starts breathing really hard on my neck and I can feel the heat. Somehow this turns me on. Is this happening? 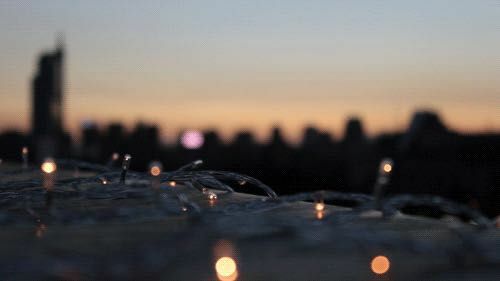 We are still side by side, laying on the rooftop when I roll on top of her, planting kisses on her forehead, her nose, then her lips. "Farkle, I can&apos;t believe this. I&apos;ve loved you for so long." "I&apos;m in love with you."